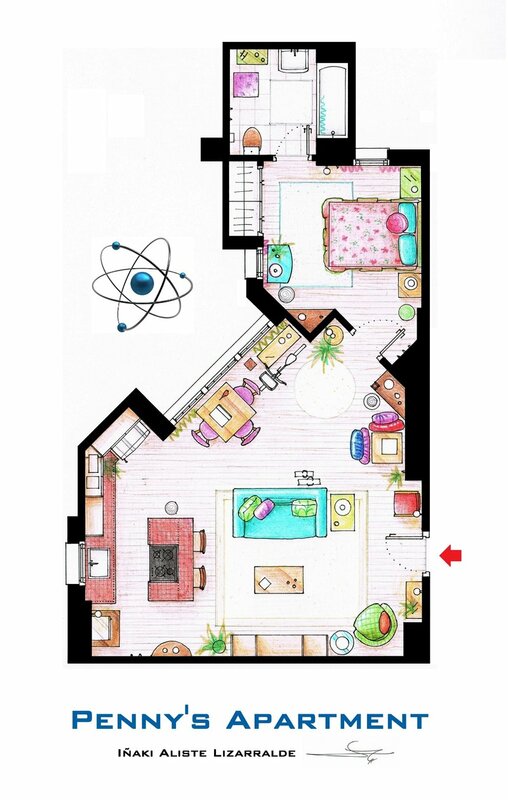 I love floor plans and when I saw the deviantART account for Iñaki Aliste Lizarralde, I squealed with delight. Mostly, because there is the floor plan for Sheldon and Leonard’s apartment from The Big Bang Theory. Click any of these to see it full-sized. 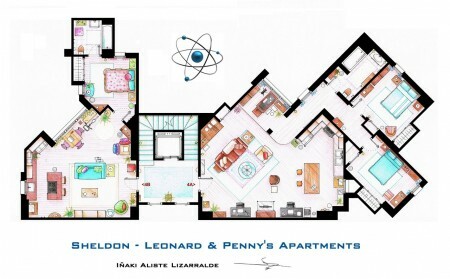 Here is Penny’s apartment as well. How she can afford so much square footage in Pasadena on a waitress salary is beyond me. After looking at it, I realize how HUGE these apartments are. 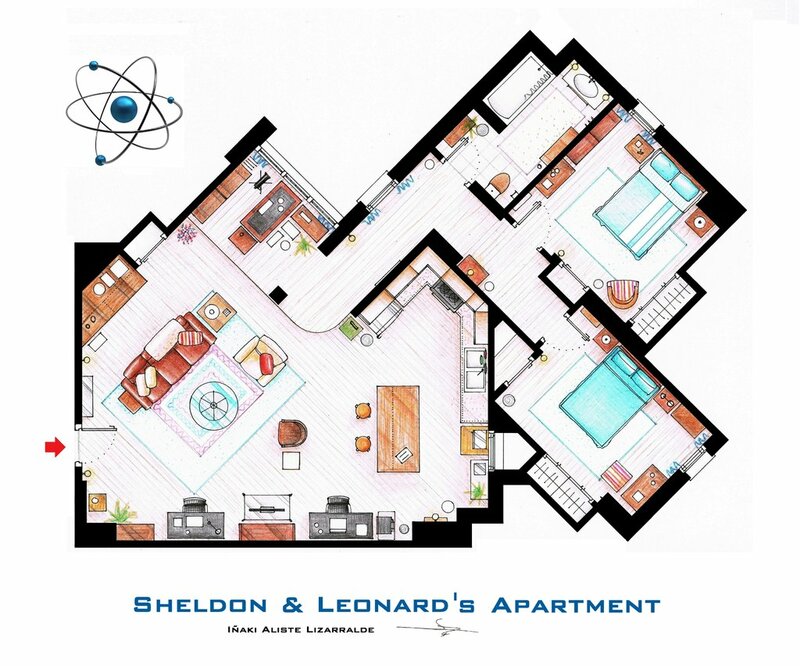 Sheldon and Leonard’s apartment is easily over 1000 square feet. The cheapest apartment I could find in Pasadena on Rent.com was $1275 for exactly 1000 square feet. I can understand how Caltech University professors can afford that, but Penny is over-stretching her budget. How does she do it?! But fiction speaks to people. Even fiction like mine acts to tell someone, somewhere, that they’re not alone. 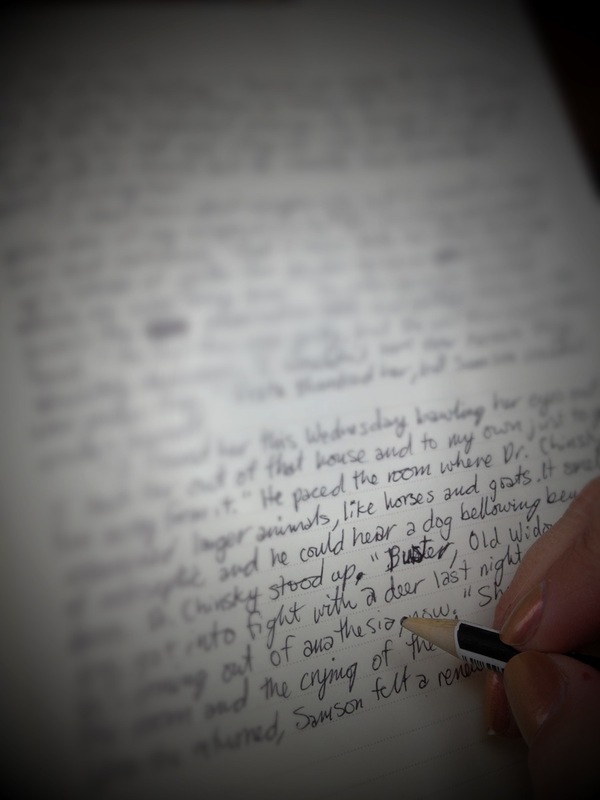 You want tangible, social benefits to writing fiction? There are people walking around today because other people wrote words that spoke to them. That’ll do. I wrote it back in 2004 and I STILL get comments from people saying that it helped them. 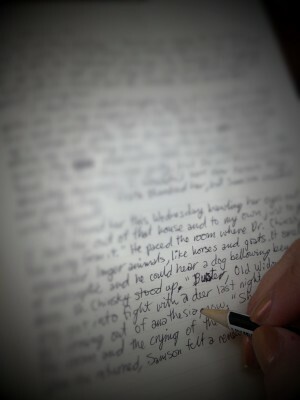 I hope to write more entries just as helpful over the years. It’s my goal as a writer and it appears Warren Ellis feels the same. 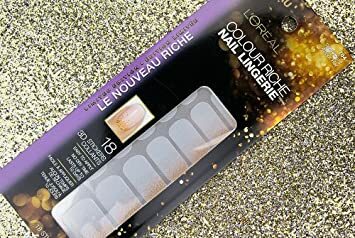 The incredible NakedJen picked up these Loreal Nail Lingerie stickers for me at Sundance in January. I love them so much that I refuse to USE them. I have literally looked at them, planned on trying them out and deciding to “save” them for a special event at least three times. It’s not like I have a special event planned anytime soon. I just think they’re too pretty to just put on for the fun of it. Instead, I made my own manicure, imitating the style. I used OPI’s My Very First Knockwurst for the base coat. 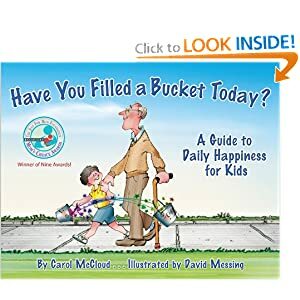 Its a children’s book called, “Have You Filled a Bucket Today?,” about the concept of doing good deeds for other people to make yourself feel better and happier. It’s the perfect way to visualize why it’s so important to do good deeds. It’s the reason I pick up garbage on the side of the road when I’m out for my daily walk. It’s how I try to conduct myself every day. I have such a hard time explaining why it’s important to be nice to people, but this book is the perfect explanation. 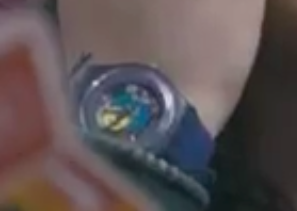 A special thank you to Richard for pointing out Jenna’s Swatch in the movie 13 Going On 30. You can see it here on this YouTube video at the 5:32 mark. Here is a screen shot of the watch. It’s the Pink Champagne Swatch LL105. It’s not one I own, so I wouldn’t have recognized it if it hadn’t been for Richard. I haven’t seen 13 Going On 30 either, but now that I see that there are some retro scenes, it makes me want to try it out. They’ve blocked the face, so I can’t tell which one it is, but it’s definitely a Maxi Swatch. In Season 1 Episode 2 at the 35:04 mark, however, there is an anachronism. Rae is wearing an Indigo Lacquered Swatch, which only was released in the Summer of 2012. I know that’s really nit-picky, but Swatch didn’t even MAKE watches in that size back in the Nineties. Unfortunately, they hung the watch UPSIDE DOWN on the wall, so it looks really strange. It’s amazing to me how important that is. I can’t look at that picture without wanting to FIX the watch on the wall. I feel a little silly documenting the glimpses of Swatches I’ve seen in movies and television, but it makes me happy somehow. It’s as if my past and my love for the watches transcended me and found itself in my favorite movies and shows, giving me validation. I’ll keep looking for them and share with you whatever I find. 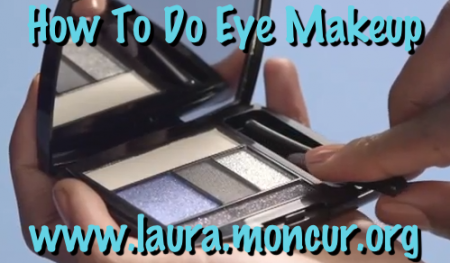 I love this video from Lancome about how to do eye makeup. For a girl like me, who LOVES makeup, but feels a little behind, videos like this are a godsend. After I watched this video, I immediately thought that I couldn’t possibly do this without that fancy eye shadow from Lancome. The cheapest I could find it was for 38 bucks at Amazon, by the way. The more I looked at the palette, however, the more I realized that I HAVE all those colors in my Sephora Makeup Kit, which ironically costs about the SAME as just one set of eyeshadow from Lancome. I can’t wait to try this out with my own eyeshadow!